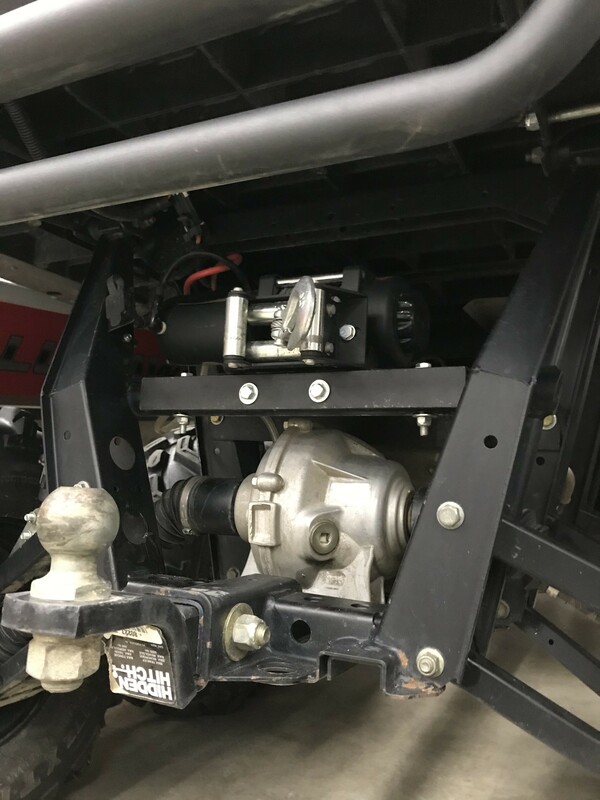 Thread: Rear winch mounting Ranger 6x6??? I took the mounting plate and positioned it atop the receiver hitch. Made sure I have clearance for everything and welder it on there! Not concerned that it will get soaked in water as you drive around?, seems like it would stay in the water so low. With the 30” tires and the majority of trails we end up on, it’s rarely underwater. It sat underwater for about an hour and still works great. 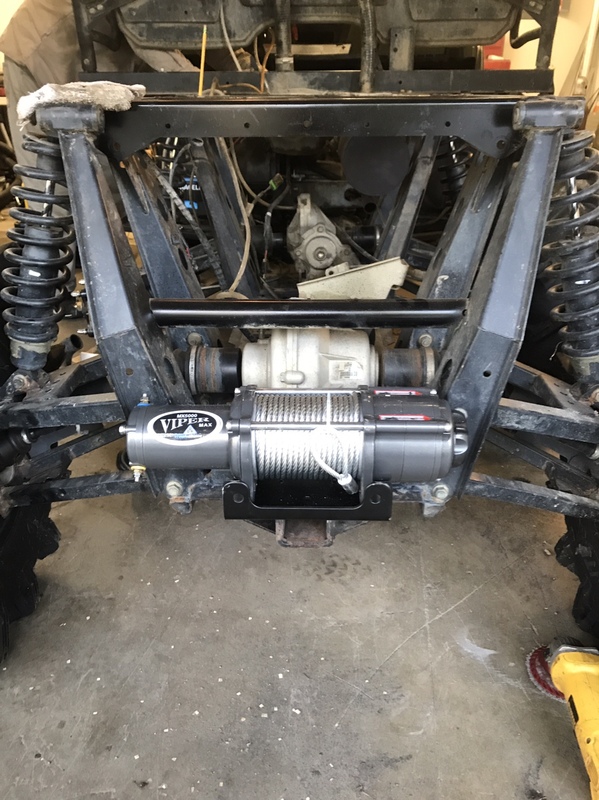 No winch is “sealed” so maintenance is key. Alaskankid13, the tube between the frame members, did you add that? I dont recall mine having it, but it is an older model 2011. Is that to reinforce the frame? Curious, is that a problem spot? I’m new to these 6x’s. Here's mine, I love it. Mines a 2014, I did not add it in. There’s a lot of other bracing added in however.